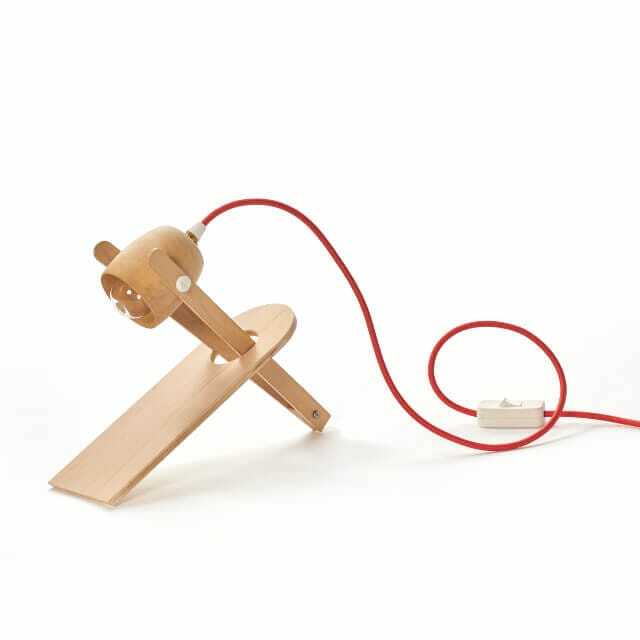 This directional desk lamp reflects simplicity and functionality. 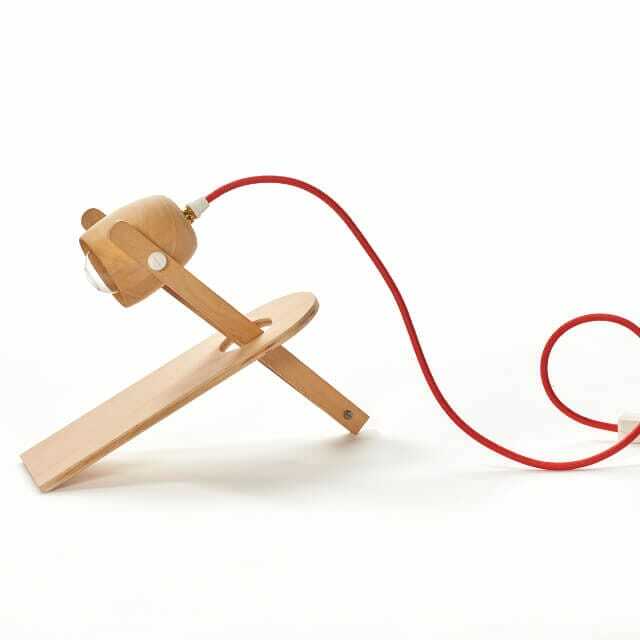 This directional desk lamp reflects simplicity and functionality. A hand turned Cherry wood shade is supported by long beech arms. 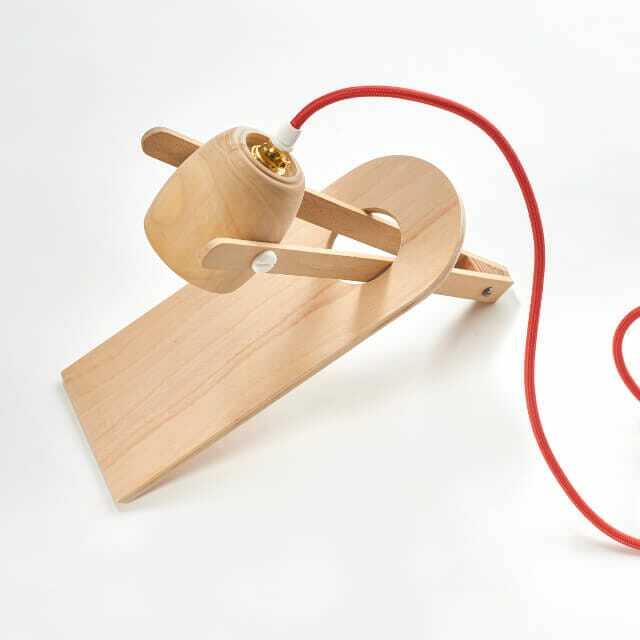 This, in turn, sits into a stylish plywood base cleverly using only the pressure from its tong-like support. A quality chrome fitting and your choice of bright coloured silk braided cord leaves to top of this hand turned shade beautifully. Cherry shade, Beech supports slotted into a beech ply base with a quality chrome fitting and silk braided cord.